Enjoy the library’s free genealogy and history resources! An online version of the 3 volume book by Lyman Chalkey which is extracted from the Original Court Records of Augusta County, Virginia from 1745 to1800. Images of census records from 1790 through 1930, along with Confederate soldier records. This is a quick link to records for Augusta County, Virginia, but other records are available as well. This is a site produced by the National Digital Newspaper Program that provides free access to select digitized newspaper pages and a wealth of information about historic American newspapers held in libraries across the country. A trusted genealogy research site for more than 18 years, Cyndi’s List ismeant to be your starting point when researching online. This collection provides access to the many materials amassed by the Daughters of the American Revolution since its founding in 1890. A collection of digitized historical documents spanning the beginning of the Americas to the present day. You can search by time period or subject such as the Great Depression, WWII, African American or Native American History, and more. The Church of Jesus Christ of Latter-day Saints provides an online search of the millions of names in its International Genealogical Index and of genealogical records and family histories. Available through the Library of Virginia, Heritage Quest is offers a collection of local histories, primary source materials, and genealogical and local history serials and more. Users must have a library card from LVA for this service. Click here for more info about getting a card from LVA. The Gilder Leherman Institute of American History has developed this gateway to source materials, essays, lesson plans and presentations organized by era. Augusta County Library is a Public Library Affiliate of The Gilder Leherman Institute. This publication from the Virginia Department of Historic Resources provides information about online and physical resources that will help reveal the history of your historic property. Our librarians share maps, articles and photographs relating to the history of Augusta County and the surrounding area. Thousands of records organized by type, location and time. The Nation’s Record Keeper has many online collections that include written and photographic documents that illustrate our country’s history as well as land, census and immigration records that are very useful for genealogy work. A companion site to the PBS family history and genealogy series with helpful information on getting started with a genealogy project. An online version of this book from 1882. Maps, cemetery listings, family histories and more. This National Park Service site lets you view military records of both individuals and units, as well as providing information on national cemeteries. Search their database of more than 51 million immigrant records and read passenger stories. Created by the University of Virginia Library and the Virginia Center for Digital History, this site lets you explore thousands of letters, diaries and newspapers chronicling people living in Augusta County, Virginia, and Franklin County, Pennsylvania, from John Brown’s Raid through Reconstruction. Virginia Memory is part of the online presence of the Library of Virginia, the state archives and reference library at the seat of government for the Commonwealth of Virginia. Established in 1823, the Library maintains vast and varied collections of print materials, manuscripts, archival records, newspapers, photographs and ephemera, maps and atlases, rare books, and fine art that tell the history of the commonwealth and its people. Since the mid-1990s, the Library has digitized parts of the collections in an effort to make their materials more widely available. Digitized version of this classic book, published in 1902. Good afternoon, Ms. McAnulty. We recommend getting in touch with the Augusta County Genealogical Society at 540-885-3961. 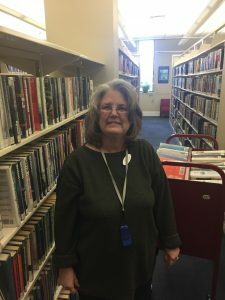 They meet at our library’s Fishersville location on Tuesdays, Thursdays, Fridays and Saturdays from 10 am – 1 pm, and they would be happy to help you out.